Century Cycles Blog: Test Ride the Giant Defy Advanced 0 with Shimano Ultegra Di2 electronic drivetrain! Test Ride the Giant Defy Advanced 0 with Shimano Ultegra Di2 electronic drivetrain! 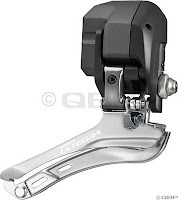 Shimano first brought their electronic shifting system to the world in 2009, with their Dura-Ace Di2 component group. 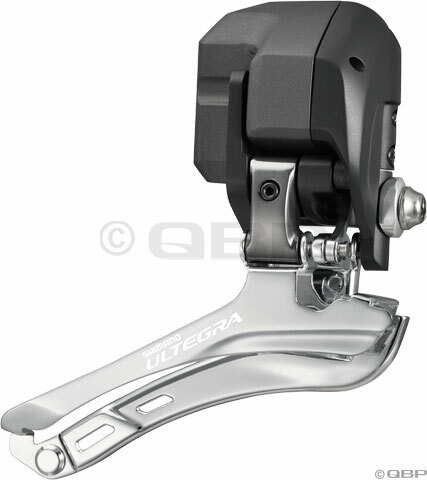 New for 2012, the technology has trickled down to the Ultegra level. 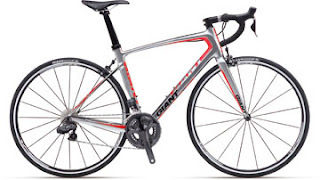 Century Cycles has one of Giant's new road bikes in stock, equipped with a full Shimano Ultegra Di2 electronic group. It's the 2012 Giant Defy Advanced 0. In addition to the state-of-the-art shifters and derailers, the bike features Giant's advanced-grade composite frame with compact road geometry, and P-SL0 wheel system by DT Swiss. If you've never experienced Shimano's electronic shifting system, now is your perfect opportunity to stop in for a test ride. The shifter buttons are placed on the brake levers and operate just like on a standard road bike, so if you've used road bike shifters before, there's virtually no learning curve. A noisy, clicking drivetrain is a thing of the past with Shimano Di2 systems. Whether you're in the small or large chainring up front, as you switch gears on the cassette in the back, the Di2 system automatically fine-tunes the position of the front derailer so that there's no rubbing on the chain, but it's still in the optimum position should you need to suddenly switch to another chainring. Likewise, the motorized rear derailer is calibrated to instantly move the chain to the correct position for the desired gear, so there's never an issue with bad cable tension causing your bike to "jump" gears. The Di2 battery module can last up to a couple of thousand miles on a single charge, plus there's a quick-charge mode that gets you 100 miles on a 10-minute charge, so you're never caught having to cancel a ride because of a low battery. We've got the 2012 Giant Defy Advanced 0 ($4549.99) in stock in Small or Large frame size. The Small is currently in Rocky River; the Large is in Peninsula. Call us before you stop down to make sure the one you want is still available; we can send either size to Medina or the store that is most convenient for you for no extra charge.